The undercover adventures of Swag Gal! | Creating magical moments with my bag of SWAG! Sometimes it’s interesting to sit back and see how things unfold that spark me to create these marketing videos to help you. I had no idea that I was going to shoot this video until after I met with three different clients, working on different projects for them. Seeing how all of the projects had one thing in common and my client’s levels of acceptance and resistance to it. I ask you…can you guess what is one element that all marketing projects have in common that you better think about or it can make or break the project? Start watching the video at 1:15 seconds in if you think you know. I share with you the different projects, what this element is, examples of how to use it and the reaction that one person had that completely shocked me. Let me know if you guessed right and if it’s something that you struggle with too. Don’t forget to subscribe to my YouTube channel. So you get notified as soon as I post these marketing tips. P.S. If you haven’t connected with me on Facebook…please do! I want to stay in touch and see you online too! P.P.S.S. Did you create your marketing calendar this year? if not, I have you covered! You know that people with systems have the greatest success. Click on the image below to download my FREE Monthly Marketing Calendar Worksheet. I’ve made it easy to plan out your monthly marketing activities. • Feeling stuck? Add this simple tip to get more prospects to take action on your online offer. • WOW! 7 earth-friendly branded products we bet you didn’t even know you could do for Earth Day. • Kid approved swag and presentation ideas for your next career day talk! Feeling stuck? Frustrated? Not getting the results you want? Have you been looking for a great way to get new prospects? Or to get more people to enter their email address on your website to get on your email list or buy an offer you have online? Let’s talk about hitting your prospects online and then taking them offline in a way that gets them excited and you maximize your results. Watch the video to see how to do that, why it works and some cool examples that you can use for your business. Hit play on the video above and dive in. Then let me know which example is your favorite and where you need help. Are you getting tired of doing the same old water bottle or reusable bag for your eco-swag? Then you gotta watch my new video. I’ve put together a list of earth-friendly branded products that I bet you didn’t even know you could do for your marketing, gifts, rewards and Earth Day celebrations! P.S. 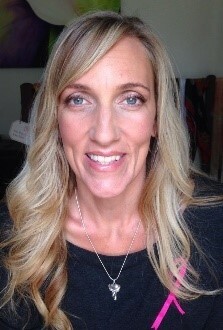 If you haven’t connected with me on Twitter…please do! I want to stay in touch and see you online too! • Ready to get you, your team, AND your business healthier this year? Then this is for you! Have you had to do a presentation for kids? For a career day, job fair, etc.? Today, I’m sharing with you a project that I’m doing for a real estate client right now. From setting up the elements of the presentation to engage the kids. To brainstorming what swag she’ll give them that they will be excited about and ultimately show their parents to get her business in front of them. Before you watch….I challenge you to think through what you’d do for the presentation and swag if you were a Realtor presenting to middle school students. Then watch it and let me know if you came up with the same things as we did. If not, I’d love to hear what you came up with! P.S. If you haven’t connected with me on LinkedIn… please do! I want to stay in touch and see you online too! • Having difficulty attracting new customers to your business then capturing their email addresses? Then this fun idea is for you! *To promote that you are a green business. *To get your team on board and engaged with being green. *Or just to show your clients and the world that you are serious about doing your part to save our planet. Idea #1: Makes everybody a winner. Idea #2: Is a fun way to engage people and blast out on social media for all the world to see how green your company is. Idea #3: Well let’s just say… Do you like to play corn hole? Then this is the one for you! Whichever one you decide to do…or if you decide to do all 3…You will be promoting your business, engaging the people who play and making the world a greener place! Need help with your Earth Day swag, other ideas for activities, contests, prizes, thank you gifts, etc. just reach out to me. I’d love to help you! For me…it would be Yellowstone. That’s my happy place. I mean…a buffalo traffic jam. Does it get any better? Oh and that’s another reason for your business to be eco-friendly too! Remember to smile…happy looks good on you! P.S. If you haven’t already, connect with me on Instagram. I’d love to see you online and get connected there too. • Say goodbye to 2018…and HELLO to 2019! Here’s one thing you MUST have in your sales and marketing plan in the new year. I just received this from one of my clients. You aren’t going to believe it!!! Learn the 3 steps she’s taken to be successful with her weight loss and how you can model this for your team. I shared some hot merch. Merch that will inspire and engage your team to stay motivated to succeed. Perfect for your health and wellness program. Reach out and let me know where you’re struggling with your team’s health and wellness program. Let’s create a program that gets results for your business! I’m always in your corner! 1. The holidays are here. What are you going to give your clients and team so they know that you care? 2. Don’t forget to follow our blog. That’s where you’re going to get these types of tips to help you with your business every time they’re posted. 3. Don’t have a marketing calendar? I have you covered! You know that people with systems have the greatest success. Click on the image below to download my FREE Monthly Marketing Calendar Worksheet. I’ve made it easy to plan out your monthly marketing activities. • 5 fun ideas to add to your sales and marketing plan that will help you stand out and be successful! Quick question…did you include adding “experiences” into your marketing for 2019? If not, pull out your marketing plan and look at ways you can include it. I wanted to help you so, here’s a fun way to add experiences to your online and offline marketing that your customers will love this year. Prize wheels! Who doesn’t like spinning a prize wheel? Maybe that started with the hit TV show, Wheel of Fortune. The crowd cheering and the spinner anxiously awaiting to see what their luck will bring. We just can’t look away! Did you know that you can capture your new prospect’s email address easily by adding a prize wheel to your website and/or at your booth/events? Yup! Once you capture it then just nurture them into becoming your raving fans and referral partners! There are two types of prize wheels. One you can use for your online marketing and one for your offline. Online prize wheel: I think you’ll agree from this image above that Booking.com is doing a great job using theirs. Notice the image, how they used scarcity, captured attention, and made sure that they are getting a good email address! Well done, Booking.com…well done! Check out Wheel of Popups to add a prize wheel to your website! Offline prize wheel: Use this type at your tradeshows, events, sales, safety meetings, etc. So many options and fun ways to use it! The standard prize wheel like shown above in green. Order yours here. An electronic prize wheel like shown on the monitor above from Iprizewheel. Then add the monitor stand shown above to maximize your branding. Order yours here. Add a mix of swag giveaways to your prize wheel. Choose items that will attract your ideal clients. Here are some popular ones that we know they will want. We’d love to create them for you! Adding experiences to your marketing such as games with prizes, incentives and surprising your clients and team with gifts will make you stand out from the crowd and build a loyal following that will grow your business! I’m always here to help you! Just reach out and let me know what you have planned this year, where you’re stuck and/or what you’re working on now. Let’s make this your best year ever!!! • Are you ready? 2019 color of the year & Merch marketing tips to skyrocket your business in 2019! Did 2018 speed by for you as much as it did for me? WOW! I still can’t believe that 2019 is here! As 2018 comes to a close I wanted to thank you for being a special part of my 2018 journey. I hope I’ve been a special part of yours too. As I am writing this, I smile. I have enjoyed watching my clients and team grow and helping them achieve their goals. I have loved the creative marketing campaigns we’ve created together. The brainstorming sessions that helped you think out of the box. And most importantly, building deeper relationships with you personally and professionally. Can I give you a tip to help you be successful in the new year? Add videos to your 2019 marketing! Video is where things are at so I encourage you to do so when it’s appropriate in your marketing. Normally, I get resistance when I say this. I get it, I was there too. If you want help, reach out to me and I’ll give you some pointers. I really do enjoy helping others. I want to help you be successful and not have to go through the school of hard knocks I went to…LOL! I’ve enjoyed consistently shooting new videos to help you get unstuck and think differently. I can’t tell you the number of people who come to me and talk about my videos and how they’ve helped them too. That makes my heart smile! I have to be honest though, those videos don’t just help you. Shooting them has helped me grow personally and professionally too. You see….shooting videos was always a struggle for this introvert. But as Tony Robbins says, “Repetition is the mother of all skills” and that’s been true for me with these. I no longer get nervous before shooting each video. I used to write everything out and practice, practice, practice. Several takes later, the video was done. It was an overwhelming and time-consuming process that at times I wanted to quit. Instead, I wouldn’t let myself give up and now it’s so easy. I want that for you too. Not just with videos, but with your marketing, relationship building, asking for referrals, health goals, and anything else you put your mind to in the year ahead. 2019 is our year of growth. Set your goals high then make a plan and follow it. Reach out to me if you want help and support along the way. I’m always in your corner! • Need hot swag ideas for your marketing? These ideas will have your team and clients going nuts! 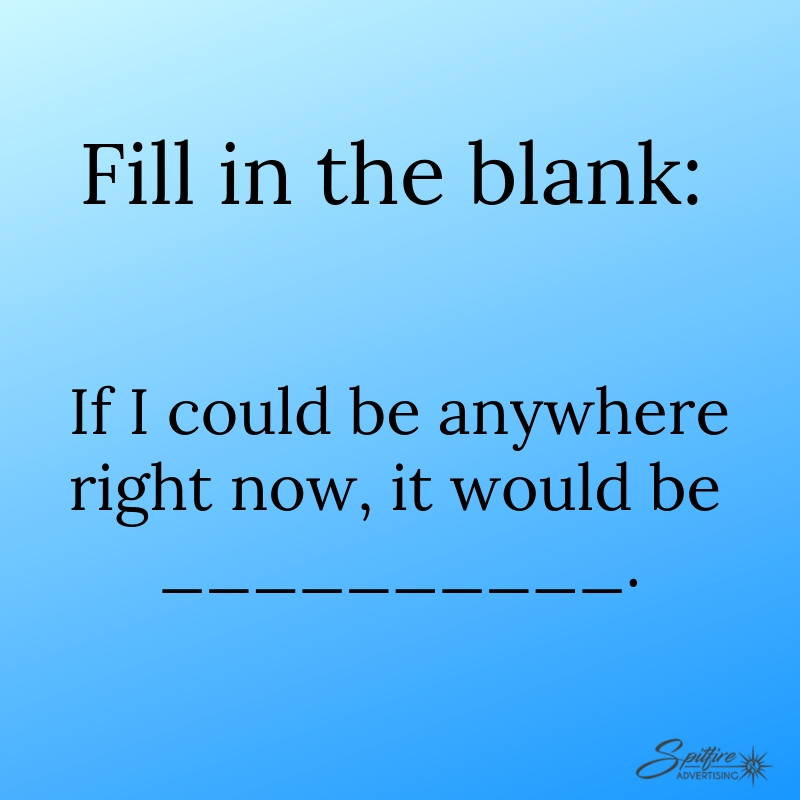 I was thinking about you and how I can help you make 2019 a success. I know you’ve been working on/thinking about your sales and marketing plan for 2019. So, I put together 5 ideas for you to incorporate into it. Let’s not waste any time as I know the man in red with the white beard is getting ready to wrangle up his reindeer, fill up his sleigh with goodies and make an appearance! Idea #1: Have you seen what Microsoft is doing right now? BRILLIANT!!! You can’t buy it and it appears the only way you can win it is by being a fan of theirs on social media. Read more about it in this article. 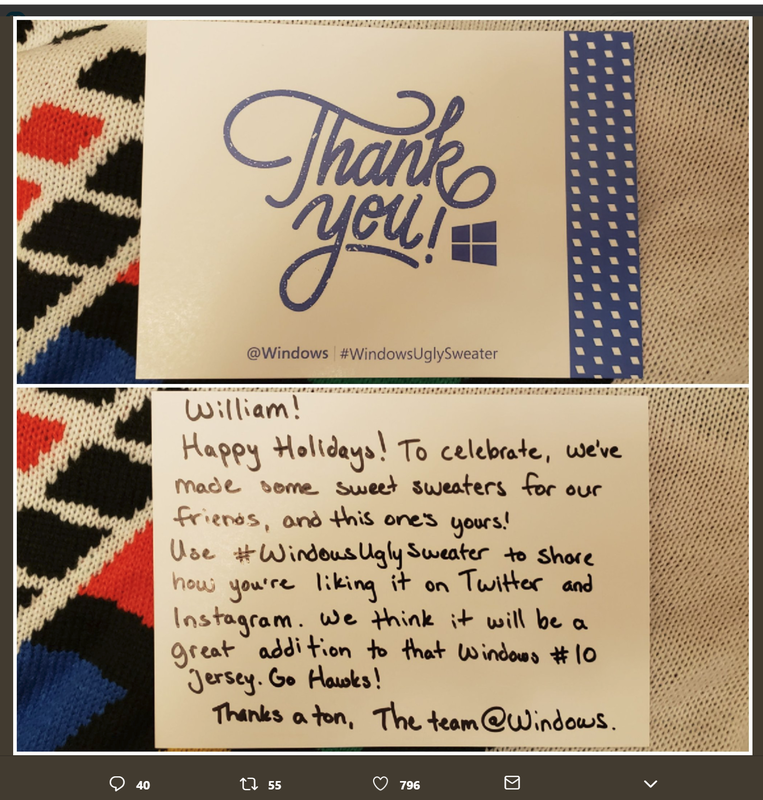 The winners receive the letter with this personalized note telling them how to share it on social media through their #WindowsUglySweater. 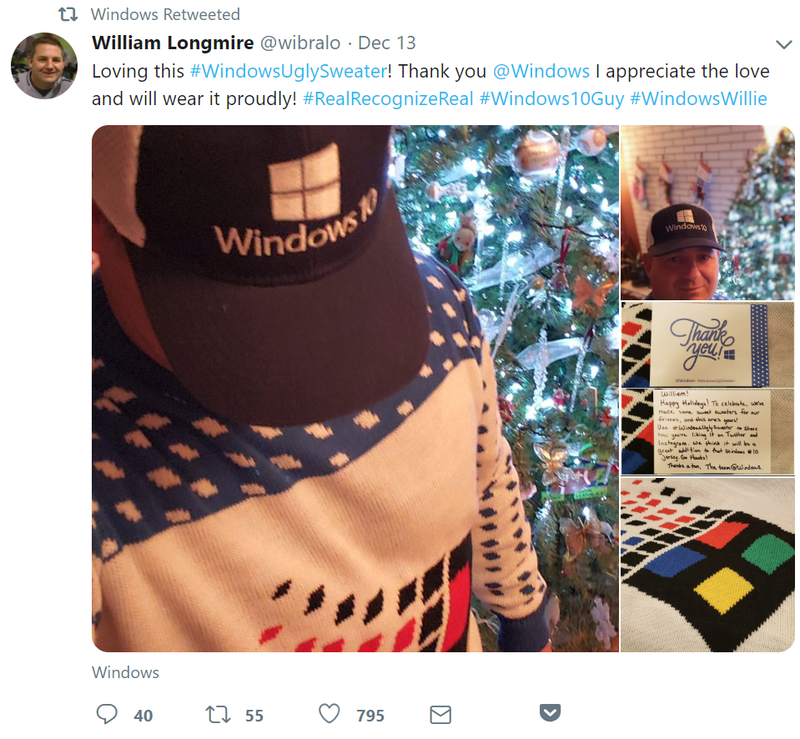 Ugly sweaters are all the rage this time of year and next year is bound to be the same. 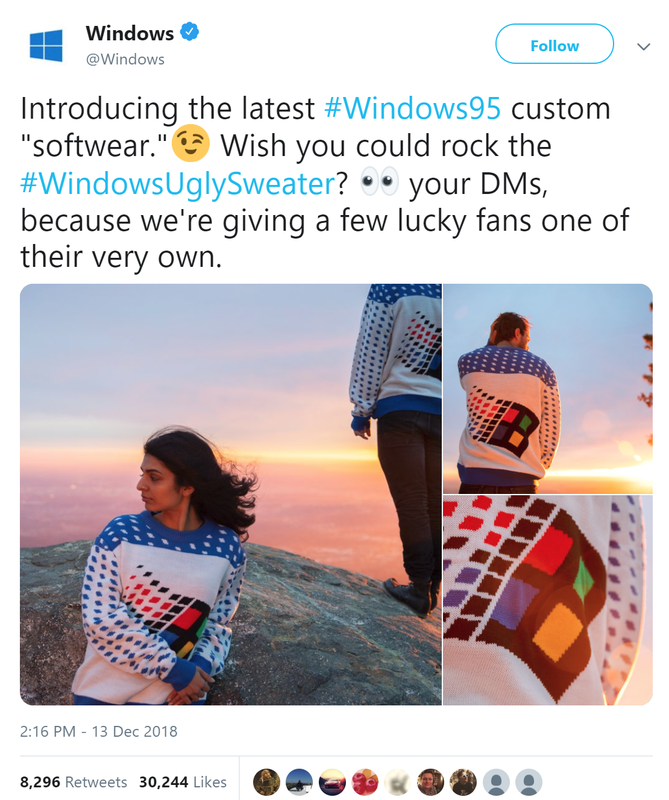 Put it on your marketing calendar to reach out to me in August 2019 and let’s start working on your company’s ugly sweater marketing campaign. Idea #2: Are you focusing on team bonding in 2019? Or incentive trips? Plan a trip to the snow and we’ll create an unforgettable swag bag that welcomes them to their hotel room. Faux fur is HOT! These adorable faux fur beanies we’ll be loved by the ladies! Idea #3: Are you doing fundraisers? Sending thank you gifts? Have or starting a company store? Need a popular and fun branded product that you can use for all of these? Any guesses what it is? SOCKS!!!! Socks are all the buzz. Notice the men at the office wearing shorter pants to show off these beauties? Here’s a fun way The World Wildlife Fund is using socks to raise money. Starting a company store or sending out thank you gifts? Reach out to me and we’ll create a set of limited-edition socks to kick off your store/thank your clients and team. Did you know that we can also set up and manage your company store for you? Just reach out to us and let’s get started! Idea #4: With so much negativity in the world, it’s important that your company is making a difference and inspiring others. Do you have events that inspire your team/clients? “Feel good” posts you’re putting out online? 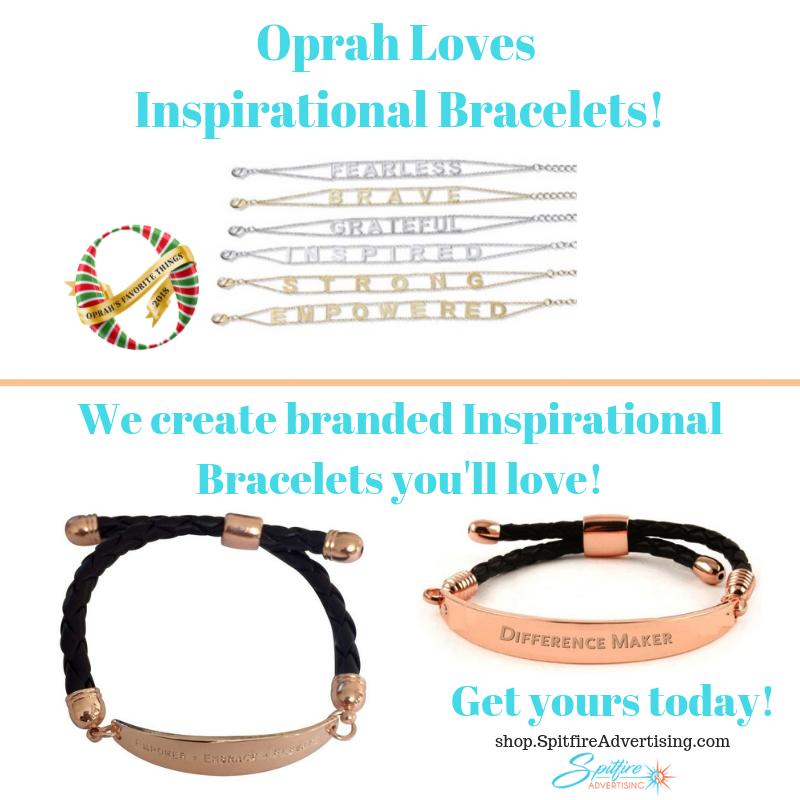 Do you give gifts like these beautiful inspirational bracelets out to your team, clients, event attendees, social media followers, etc.? Do you have a word for 2019 that you want your team/clients to remember and be inspired by? When you tap into a person’s emotion, help someone to feel good about themselves and/or reach their aspiration, you have someone who is loyal to you. Build those relationships, bring out the best in others and give them a physical reminder. Need help creating inspiring marketing for your business? We’re just an email away! Tip #5: What do you have planned for your wellness and safety program rewards for 2019? If you don’t have these programs, then I highly suggest you add them to help you save money and keep your employees healthy. Adding rewards and incentives will help you get more employees engaged! 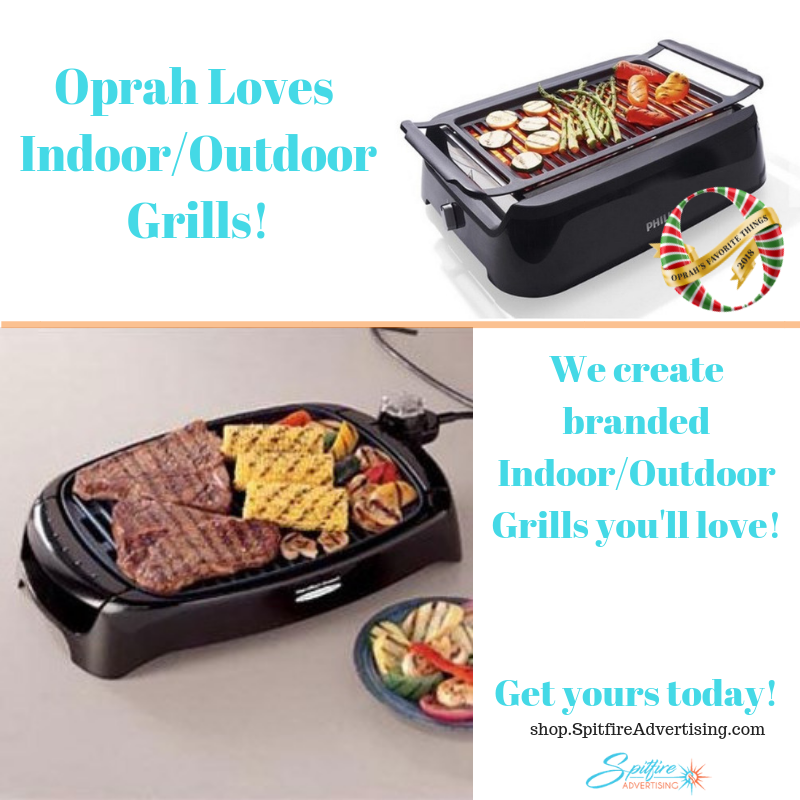 The indoor/outdoor grill is hot (no pun intended…LOL) and perfect for men and women. 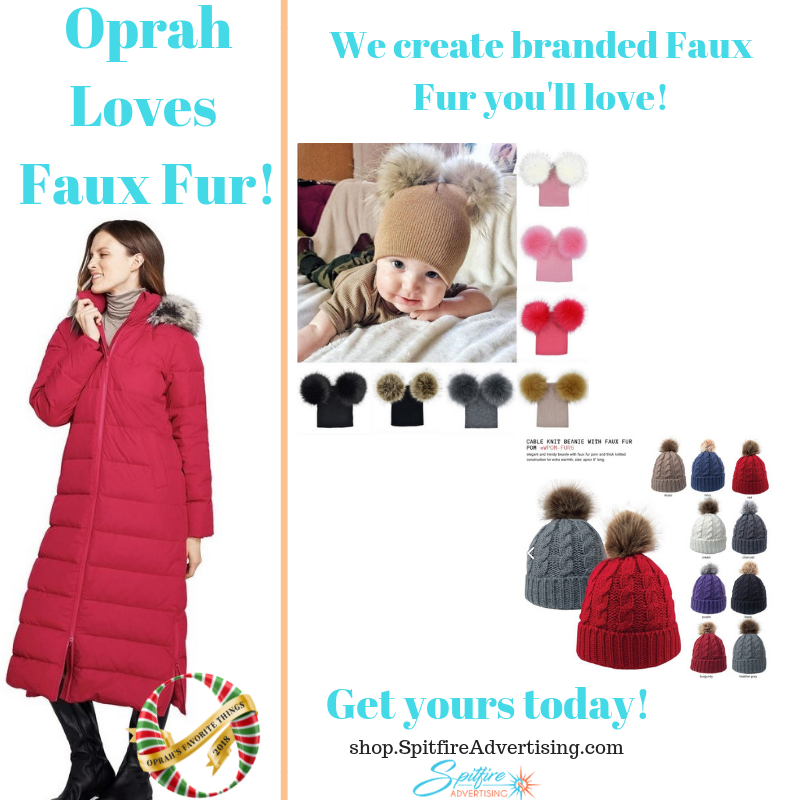 Oprah loves it, there are hundreds of them on Amazon and it’s on informercials endorsed by Chef and restaurant owner, Eric Theiss. They are easier and more convenient than outdoor grills…especially during the winter. Everyone loves a good BBQ! If you need help improving what you’re already doing for your wellness and safety programs or need to start one, we’re just an email away to help you! I’d love to hear which one of these 5 ideas is your favorite! Reach out to me and let me know. If you need help with creating the marketing pieces for your 2019 sales and marketing plan I’m always here to help you. Let’s make 2019 your best year yet!! • A secret tool to help you pick the coolest merch for your business’s gifts and giveaways! 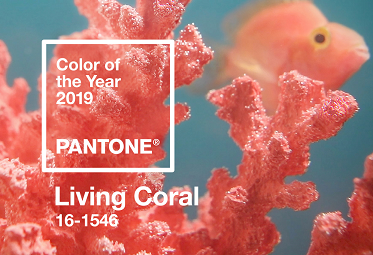 I just wanted to drop by really quick and tell you that Pantone has announced the 2019 color of the year. Any guesses what it will be? It’s Living Coral!!! Did you guess correctly? I know you’re working on your marketing plans for 2019 so besides looking for ways to incorporate Living Coral, here are 3 tips for your merch marketing. Tip #1: Using name brand products in your merch marketing aligns your brand with quality. This gorgeous Hydro Flask will get attention. Instead of just asking us to imprint it with your logo, capture the recipient’s attention by tapping into their emotions. Make them laugh, inspire them, touch on a pain point. This will help you build relationships faster, deeper and make you more memorable. 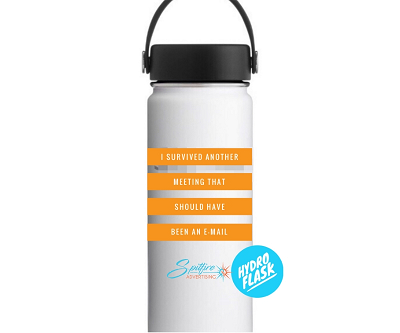 This one says, “ I survived another meeting that should have been an e-mail”. We’ve all been there! It’s the elephant in the room that nobody says. Tip #2: Are you giving your female team members or clients the same unisex, crew neck T-shirt that you’re giving the guys? Guess what…that’s one of the biggest complaints I hear from women. We WANT clothes that make us feel good. This one does that. Also, notice that there’s not a logo on it. 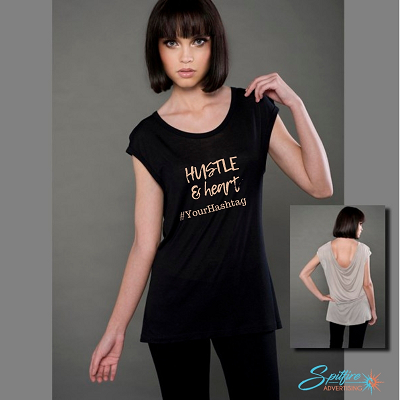 Instead, brand it through a hashtag that ties back to your company and add a message that the ladies want to wear. Hustle & Heart is a nice one! Tip #3: Follow me on Facebook or Instagram and see the cool merch we’re posting. Get inspired and stand out from your competition. Let’s grow your business even bigger in 2019! I’d love to hear what you think of Living Coral and my merch tips above. Let me know by clicking here and if you need help with your projects from your Safety programs to gifts, I’d love to help you! • Ready for a fun client party idea that rewards them and you? Check this out! !